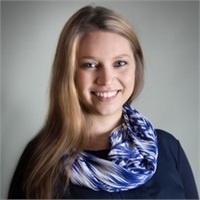 Jessica an alumnus of Kingswood Regional High School and a graduate from Saint Michael’s College ’16 (Colchester VT- BS in Business Administration) has started her career in health insurance. Having been part of a national health organization in high school and working in customer service for 9 years she found a niche for health and business. Being passionate about the two she decided to combine them both and start a challenging new journey. Jessica has been with Doran Independent Insurance for 2 years now. She has been Doran's marketing specialist and has joined the group insurance world working alongside Dianne Chase and Nancy Papp with all group insurance products. Outside of work, she enjoys everything Lake Winnipesaukee has to offer. You’ll always find her at the beach, paddle boarding, boating with family and friends, skiing or traveling somewhere new.